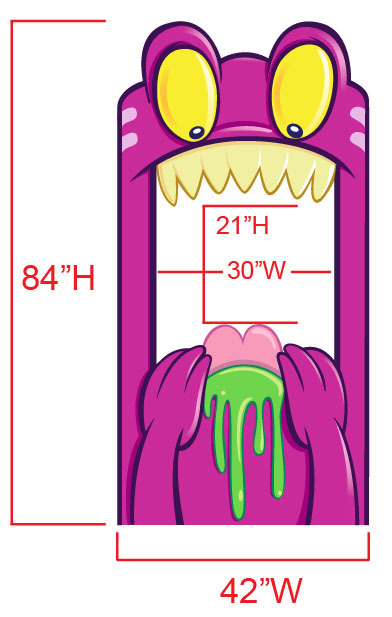 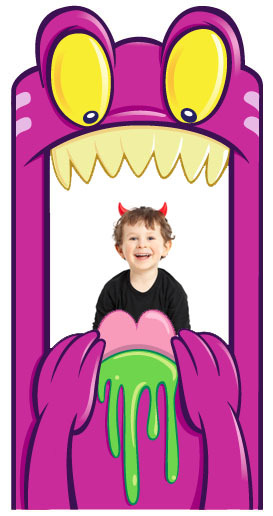 Gobble Monster Booth Cardboard Cutout Standup Prop - Dino Rentos Studios, INC. 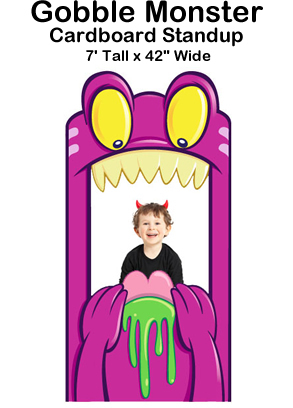 This Gobble Monster Cardboard Cutout Standup Prop is great for your Halloween or Monster themed party, display or production! 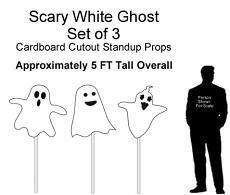 The prop is over 74” tall by 3.5’ (42”) wide.